From an early age, Tim’s ambition was to become a heraldic artist and he has worked at HM College of Arms for 30 years. 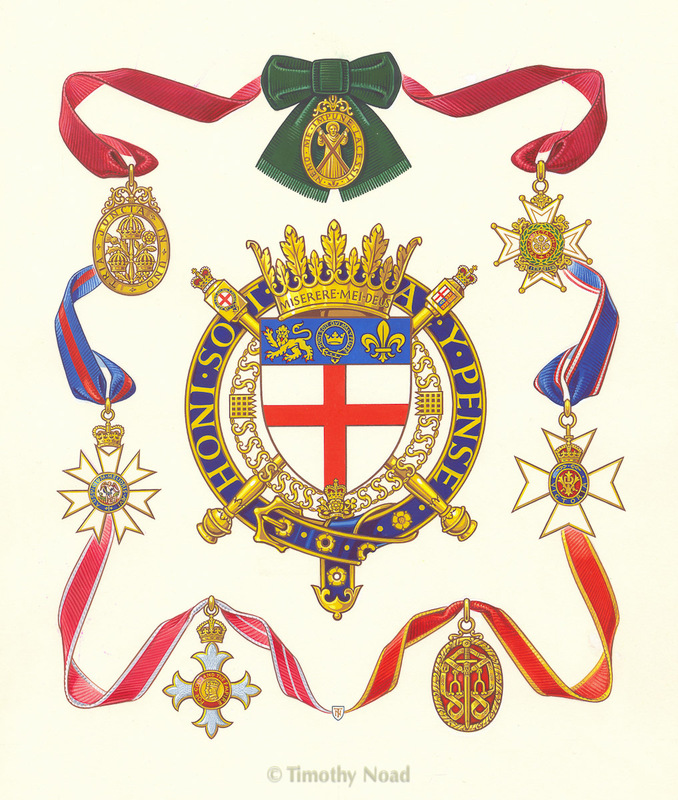 Heraldry features in much of his work, including many commissions for the Royal Family and the City of London Livery Companies. 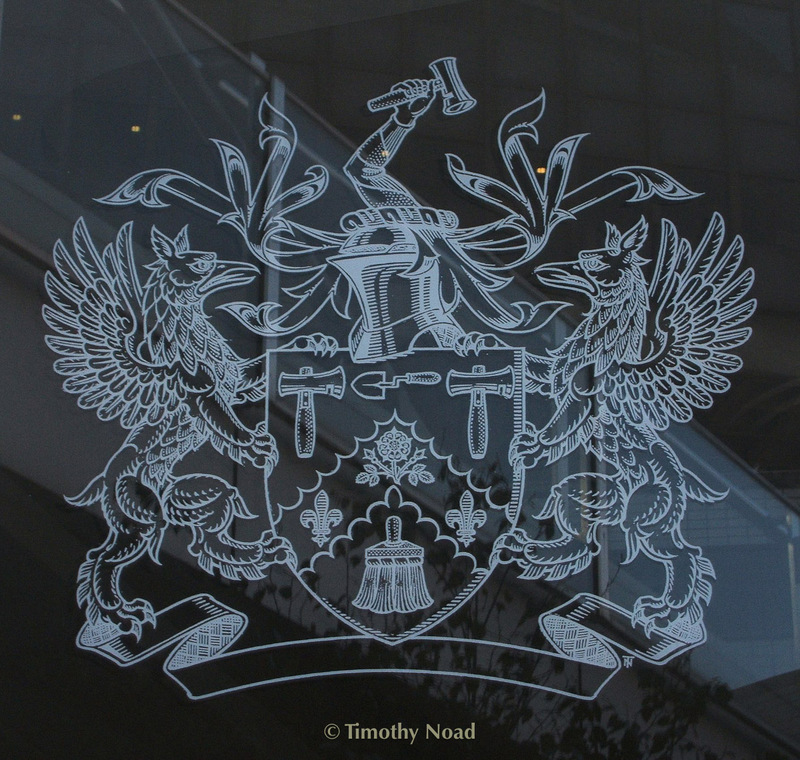 Arms of the Plaisterers' Company of London in a window at Plaisterer's Hall, etched from Tim's design. Vellum scroll creating HRH The Duchess of Cornwall an Honorary Liveryman of the Plaisterers' Company of London. 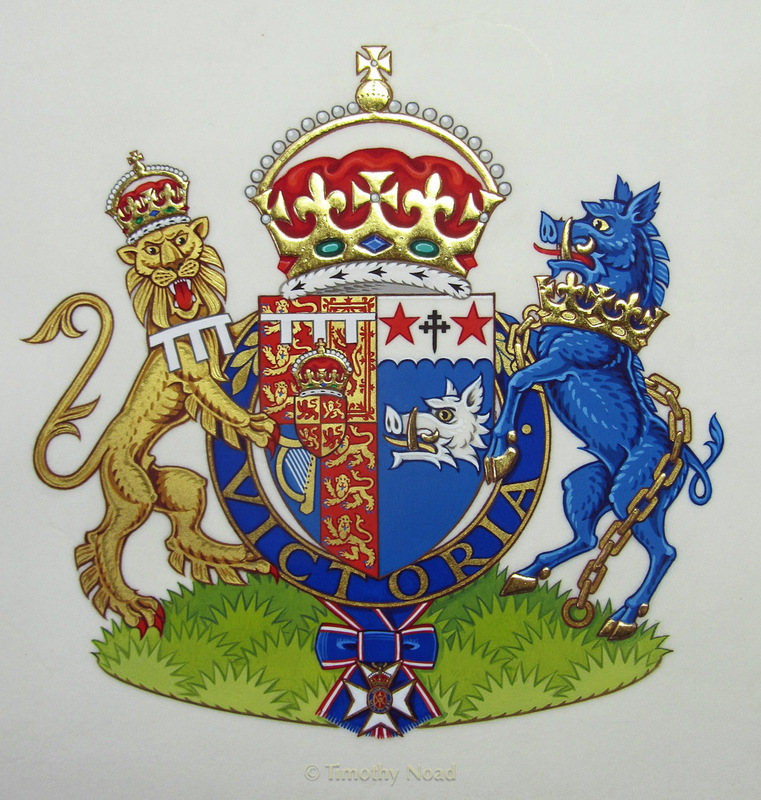 The Royal Arms of George IV, from a vellum scroll presented to a Companion of The Royal Society of Literature. 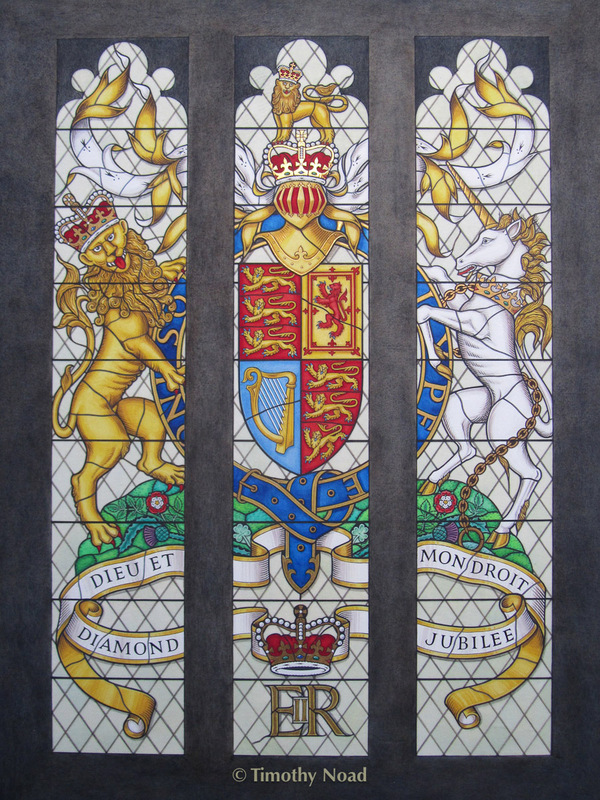 Tim's painting of the Royal Arms, which he helped design, in the Diamond Jubilee Window at Westminster Hall. Commissioned by the stained glass artist, John Reyntiens. An illustration from 'The British Library Companion to Calligraphy, Illumination and Heraldry' by P. Lovett, showing the UK orders of chivalry and the arms of Garter King of Arms. 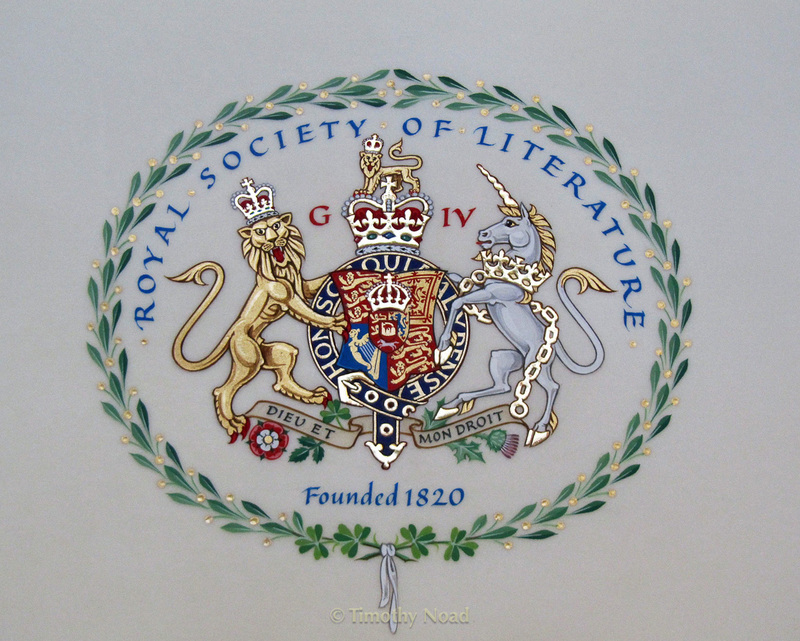 Arms of HRH The Duchess of Cornwall in gouache and gold on vellum. 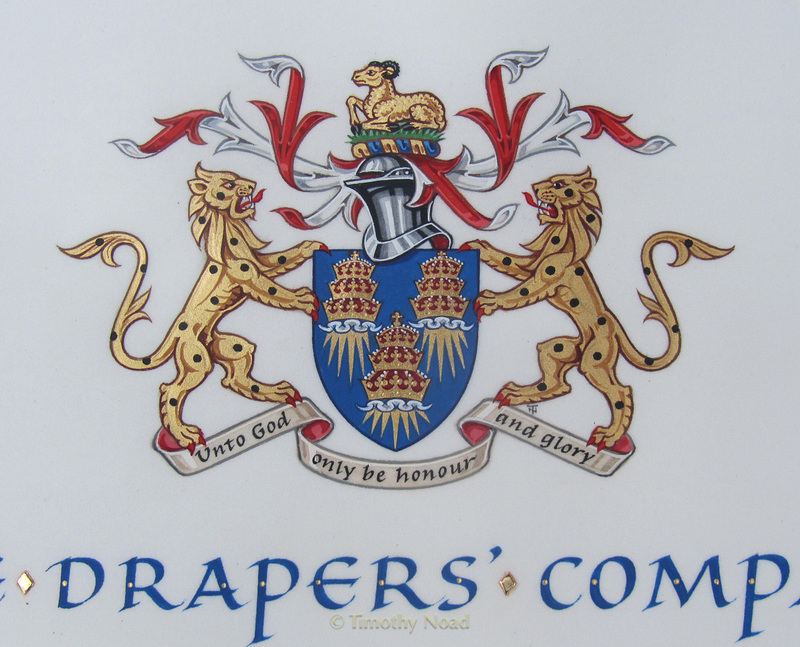 Arms of the Drapers' Company of London, gouache and gold on vellum. 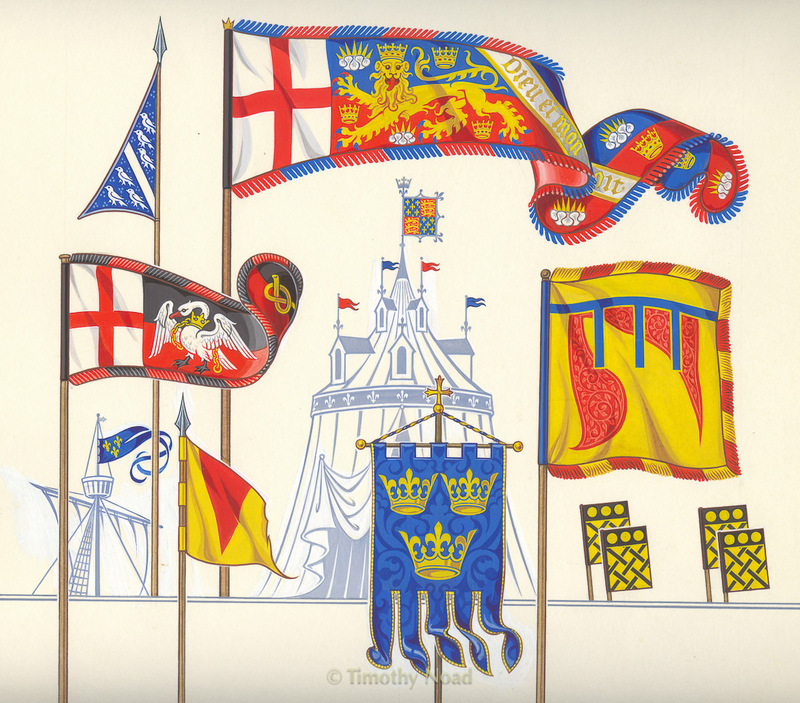 An illustration from 'The British Library Companion to Calligraphy, Illumination and Heraldry' by P. Lovett, showing various types of heraldic flag.